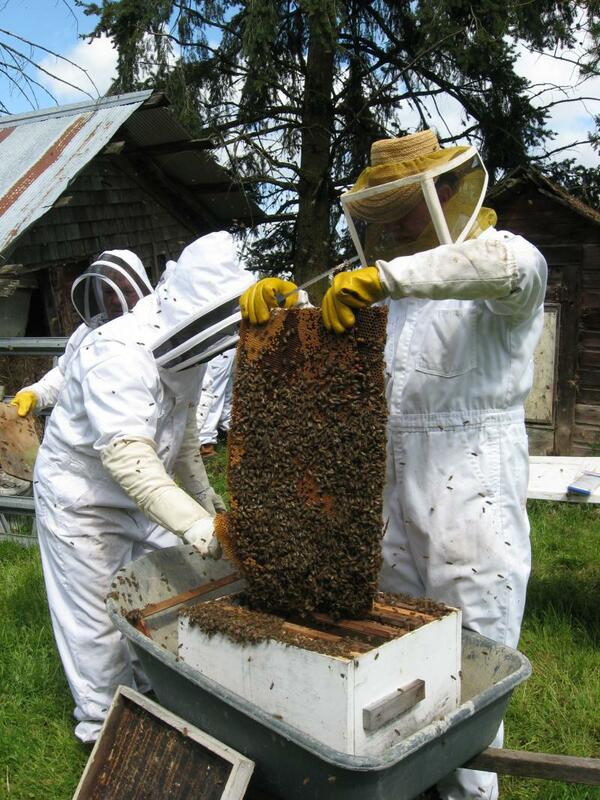 In spring & summer, LCBA volunteers capture honey bee swarms in Lewis County, Washington, free of charge, 7 days a week. FYI, LCBA is a WA nonprofit corporation & 501(c)3 organization, not a county agency. Colony removals: for information about individuals who will remove established bee colonies, scroll down below swarm list. Some of these individuals may charge for their removal services. Not in Lewis or the southern part of Thurston County? 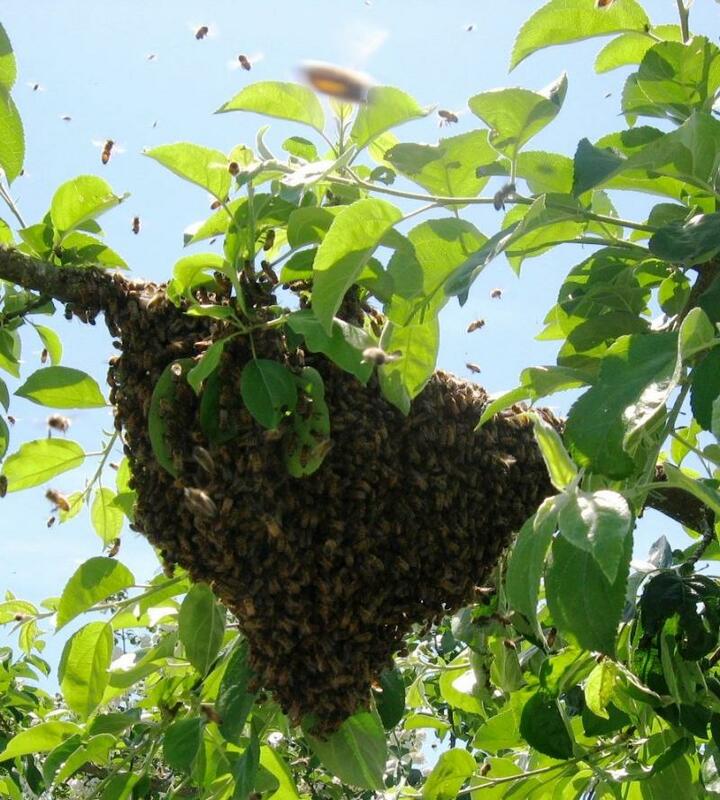 Click here to visit Beesource.com's nationwide bee swarm & colony removal list. 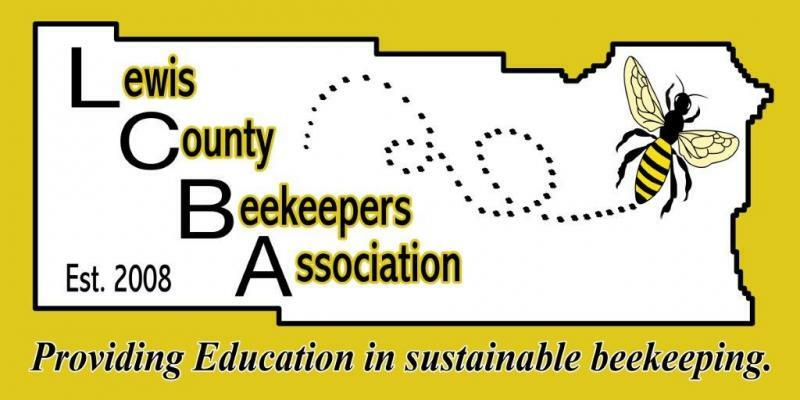 Lewis County Beekeepers' Association does not guarantee outcomes of swarm captures: names listed below are volunteers who are willing to remove bees for free. Our volunteers will gladly accept donations for gas, supplies, or to support LCBA's educational programs. 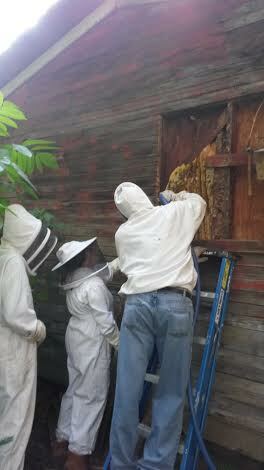 We will hive bees for homeowners who are members of LCBA; otherwise, our volunteers take the bees. * If it is a swarm, how high off the ground are the bees? Do you have ladders or do our volunteers need to bring one? * If they are in a structure, what kind of structure, & where in the structure? 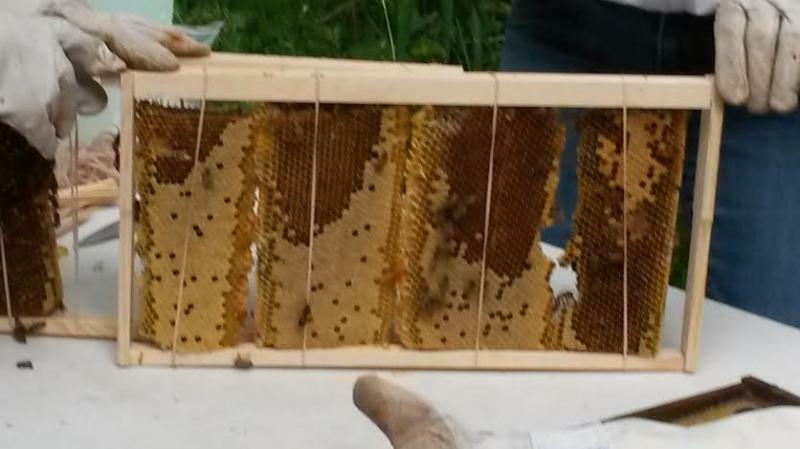 Above, honey bee swarm hived at May 30, 2015 LCBA workshop. When you call one of our volunteers, please do not call others on the list: give our volunteer time to get back to you. Many of our volunteers have full time jobs. If you do call multiple volunteers, please respect our volunteers' time by calling others back to let them know they are not needed after a volunteer contacts you. 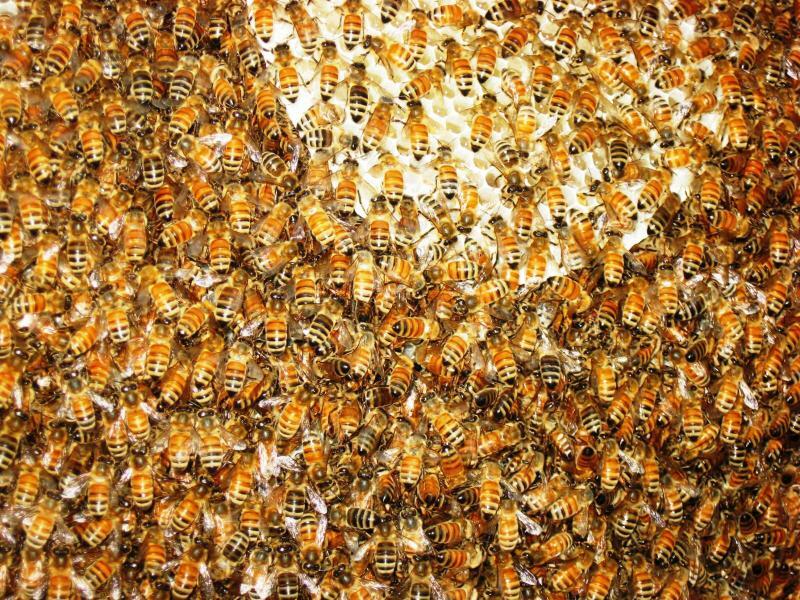 Want to go along on a virtual tour of a honey bee colony extraction? 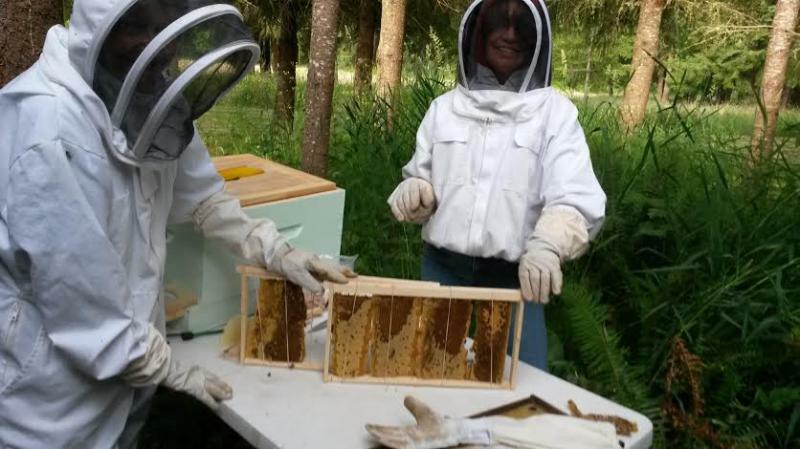 Click here for Team Mossyrock's writeup of one of their bee removal adventures. Below, Team Mossyrock usually consists of (left to right) LCBA Past-President Norm Switzler (the guy with the bees all over his back), Martin Stenzig, Nancy Toenyan, & (photographer, not pictured) Marcelle Stenzig, plus others who want the experience! 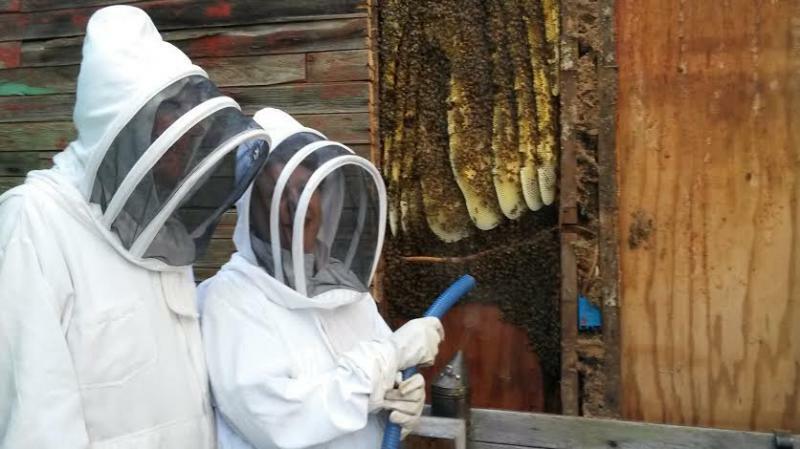 To learn more about LCBA colony removal workshops, click here for our Mentors & Classes page. 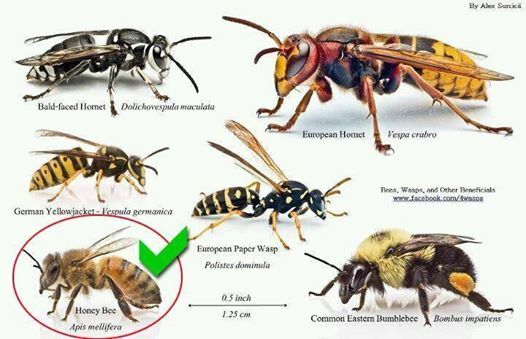 Are you sure you have bees, not yellowjackets, hornets, wasps, or bumblebees? 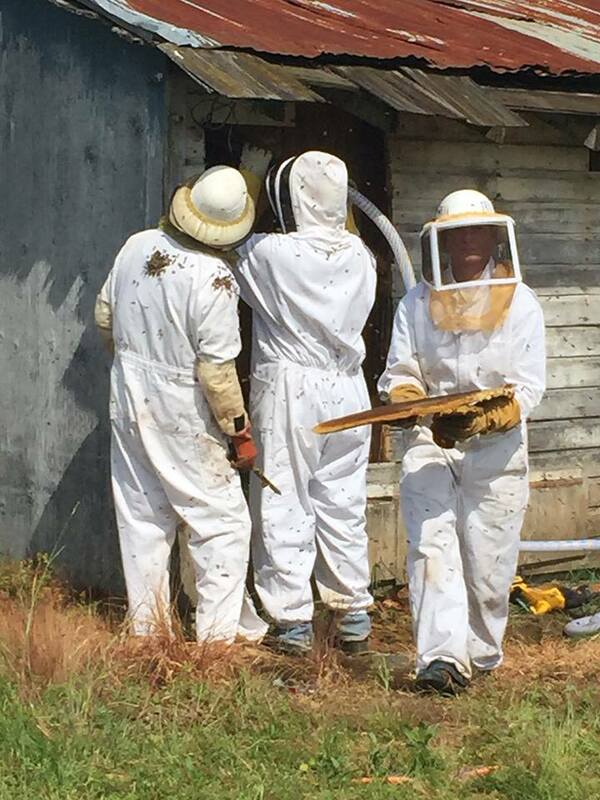 FYI - LCBA volunteers only remove honey bees. 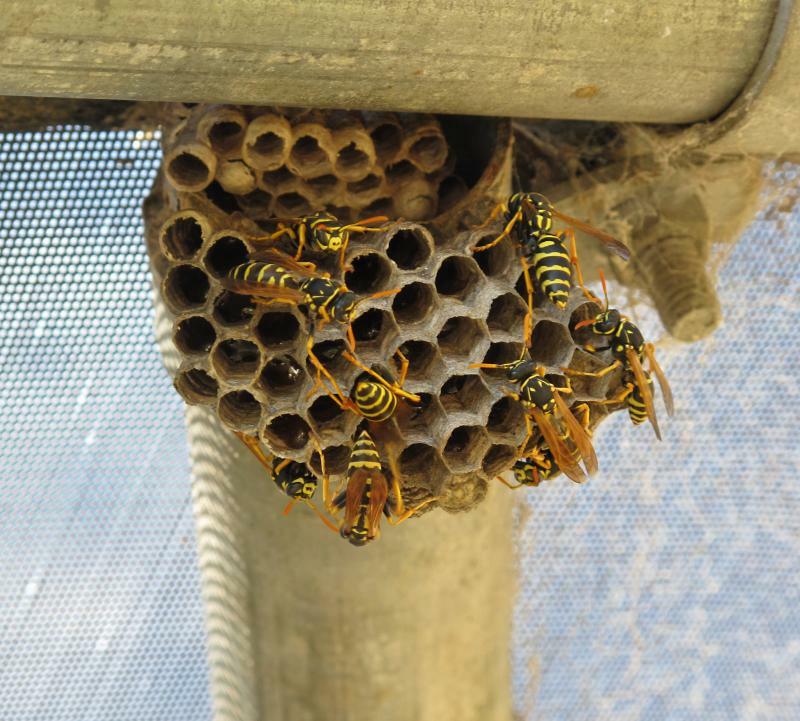 NEED YELLOWJACKETS, WASPS, OR HORNETS REMOVED? Scroll down this column for contact information. Also, honey bees normally are not ground nesters: if you have stinging insects coming out of the ground, they are likely yellowjackets. ﻿Observing differences between honey bee comb & yellowjacket/hornet nests are very helpful in telling what you've got! 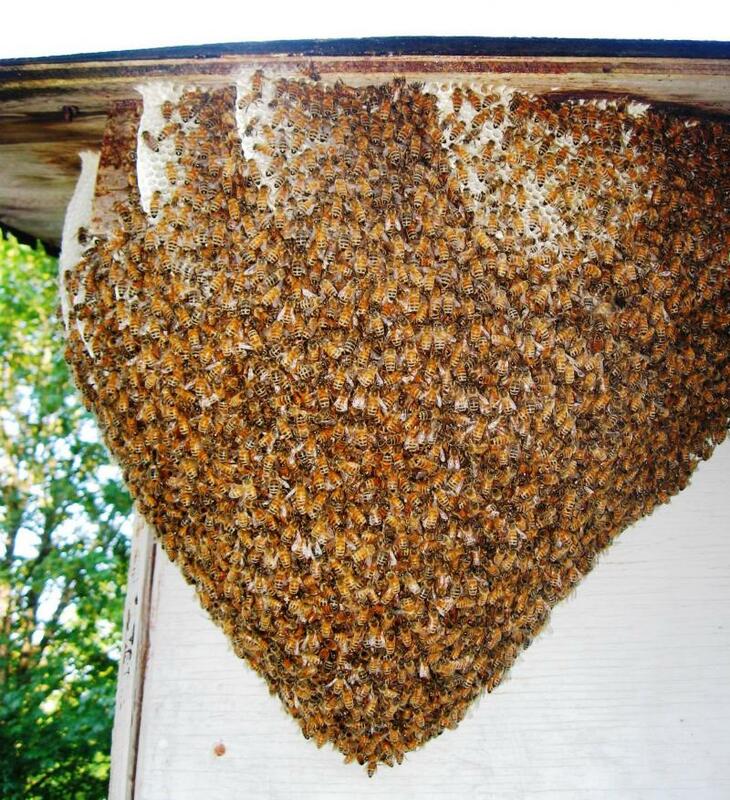 Want to Get Rid of Yellow Jackets, Wasps, or Hornets? Carl Roush, 360 578 2018 (May through September). Retired Lower Columbia College Biology Instructor Carl Roush seeks yellow jackets, wasps, & hornets - he works with a laboratory to process their venom to help those with allergies. Click here for his card. Got Swarms? Want Bees? Bee Prepared! Set up a bait hive! 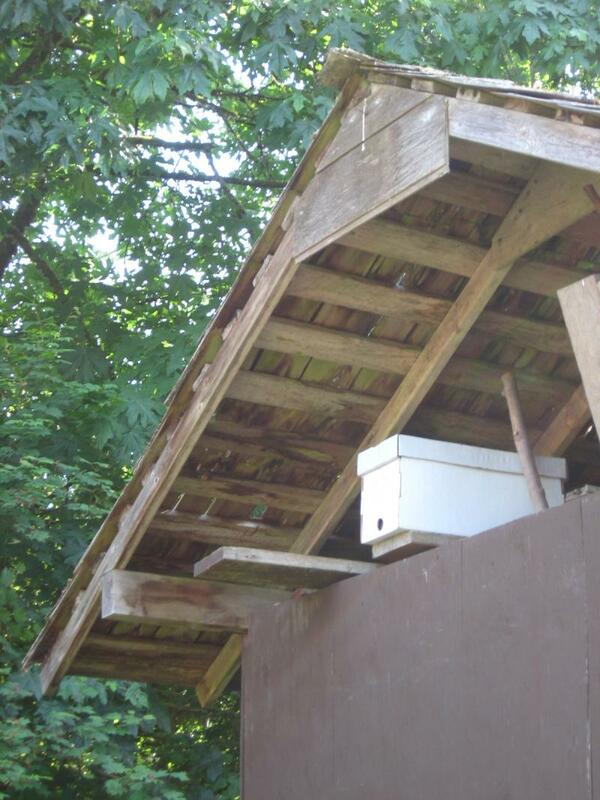 Nuc boxes make great bait hives. Insert frames with comb - or rub beeswax on fresh frames if you don't have old comb. Some lemon essential oil may help, & possibly a little honey. Conventional wisdom says to place your bait hive about ten feet up. Of course, bees have minds of their own . . . and your nicely placed bait hive may sit lonely as the Maytag repairman while bees swarm into a tree or bush. But it's worth a try, as many beekeepers do catch bees this way! To see a YouTube video by the Centralia Chronicle featuring LCBA's Past-president, Norm Switzler, & other Bee Team members removing a colony from the historic Salzer Valley Schoolhouse in Centralia, WA on July 19, 2009, click ﻿here. Above, Past-president Norm Switzler & new friends, Onalaska, July 2012; below, fitting extracted comb into frames. It's important to preserve the original comb orientation so that larvae don't fall from brood cells, among other reasons. To view a slideshow of different types of colony removals, click here; to learn more, see our April 2013 newsletter.